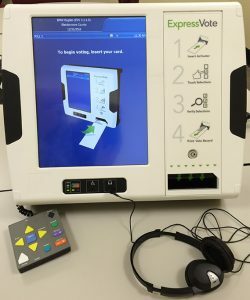 The ExpressVote ballot-marking system provides autonomy to voters who are blind, visually impaired, or have a disability or condition that makes it difficult to traditionally mark a ballot. For more information on how to use the ExpressVote, speak to an election worker at your polling location. This service is available to any voter who has difficulty walking or standing for long periods. If you have an assistant with you, when you arrive at the polling location, have them notify the election official at that time. The election official will then bring your ballot to your car outside the polling location. If you do not have an assistant, please call (512) 581-7160 ahead to notify the election clerk that you want to vote curb side. Voters with a disability may apply with the county voter registrar for a permanent exemption. 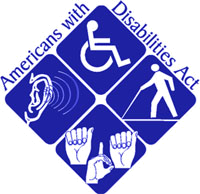 The application must contain written documentation from either the U.S. Social Security Administration evidencing he or she has been determined to have a disability, or from the U.S. Department of Veterans Affairs evidencing a disability rating of at least 50 percent. In addition, the applicant must state that he or she has no valid form of photo identification. Those who obtain a disability exemption will be allowed to vote by presenting a voter registration certificate reflecting the exemption. Please contact your voter registrar for more details at 512-581-7160.